Meet Jazz and Roxy and their mates, kids living on the edge, in a gritty YA novel by the author of the New Zealand Post Award-winning Thunder Road. 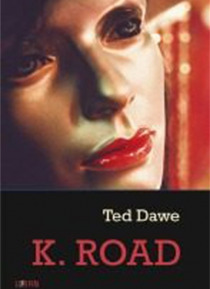 In K Road we're introduced to a scattering of marginalised, demi-underworld characters whose lives connect and collide in a gripping narrative. K Road is peopled by transients, surfies, gang members, street kids, P-heads, kids on the run: an ever-expan… ding,jostling urban tribe. Dawe's prose is spare, gritty and gutsy with flashes of poetry and humour. We gain an acute sense of the pressures, fears, betrayals and loyalties inherent in living on the edge of the law, and of the tenuous grip each character has on their own safety and integrity. They're all there on K Road: Flash, Sonny, Geronimo, Vercoe, Wilson, Jazz, Roxy. But it's Jazz and Roxy, the 14 and 19-year-ld team on the run, who try to climb out of their savagely cruel and subterranean existence. Their survival ticket is Jazz's extraordinary musical talent; their love story heart-breaking.